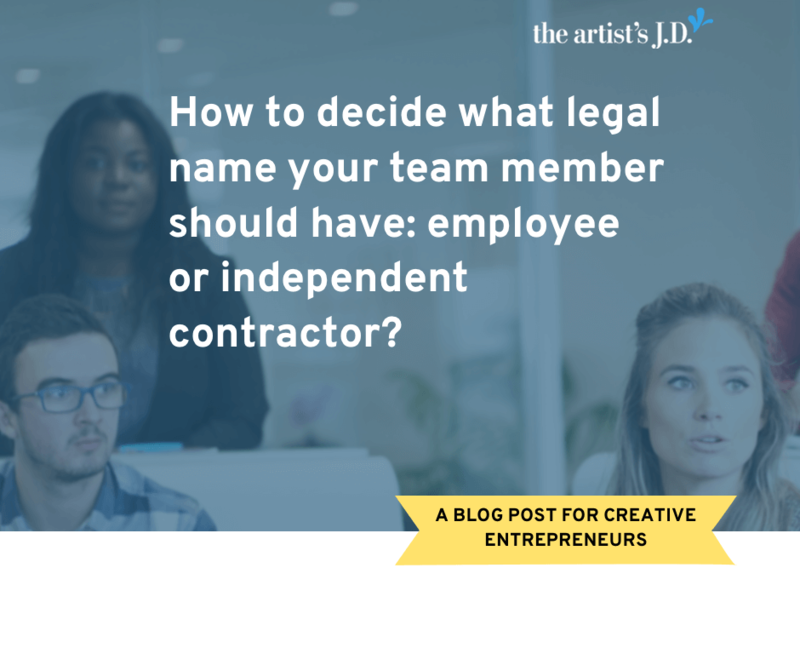 How to decide what legal name your team member should have: employee or independent contractor? What name should you give your team member? Don’t call your new team member by the wrong name! 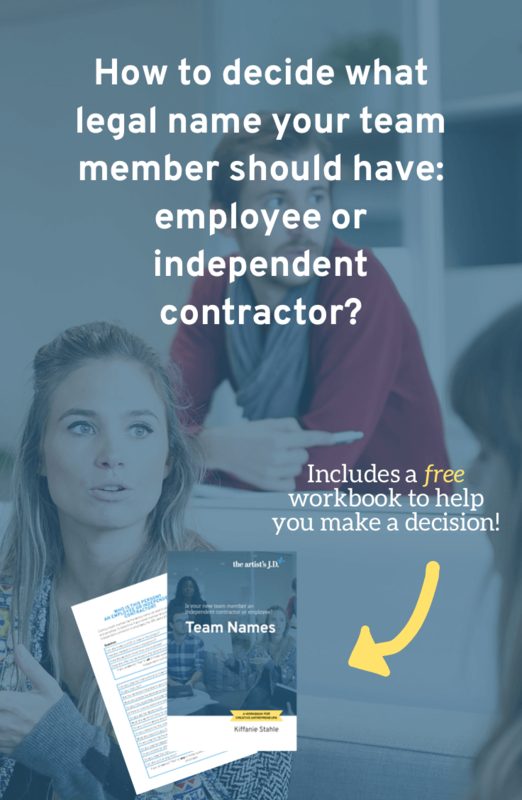 Enter your email to download a workbook that will walk you through the questions you need to answer to decide if they can be an independent contractor. Or if you’ll have to hire them as an employee. Yes! Please send me the workbook and send your favorite tips, tricks, and resources to my inbox. I'll pass! Please send me the workbook only. It can get exhausting wearing all…the…hats. And some of those hats, you don’t really enjoy. Maybe you’d love to focus on creating new collections, rather than shipping out orders. Or maybe you want to write course content, not the sales page, email funnel, or social media posts. Or maybe you want to design brands, not schedule appointments or follow-up on the details you need from clients. And so you’ve decided to bring on help. As the business owner, you’d likely prefer them to go by the legal name of an independent contractor. And that’s because it’s far less headache for you. Because with independent contractors, you don’t have to report independent contractors to your state agency, set up payroll, or get worker’s compensation insurance. All you really need to do is to create a contract outlining what they’ll do and how they’ll be paid. 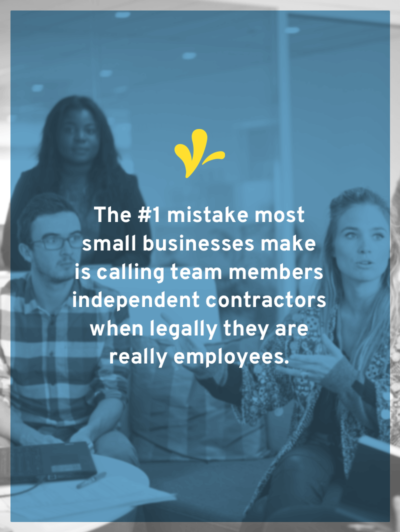 The #1 mistake most small businesses make is calling team members independent contractors when legally they are really employees. And making this mistake can lead to some stiff fines and penalties. So classifying someone who should be called an employee as an independent contractor isn’t worth it. There’s no magic list I can give you. Nothing that states if they fall in this or that bucket they are definitely an employee or independent contractor. This is another place where we don’t have a set formula. Do you have the right to control how the team member performs her job? Do you have the right to control when the team member performs her job? Do you provide her with the tools and equipment to do the job? Do you pay her on an hourly, weekly, or monthly basis? Do you reimburse her expenses? Do you offer her benefits? Is the work she does integral to your business? What we are looking at is determining the level of independence and control that the team member has. The more that you are in charge, the more likely they are an employee. The more control and flexibility they have, the more likely they are an independent contractor. Basically, it all boils down to control. 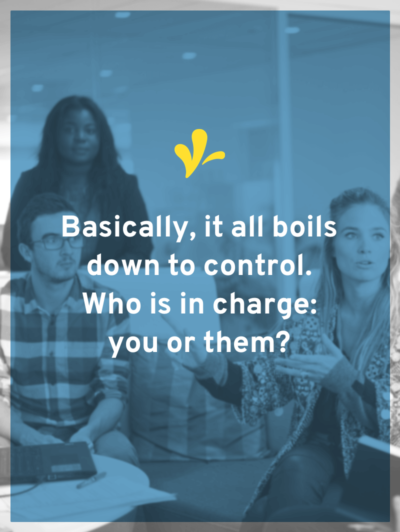 Who is in charge: you or them? I’ve summarized this test in a free workbook that you can get by entering your information below. How might this work in your business? In the artist’s Courtyard, my legal library and membership community, we have seven Creative Business Guides. Below you’ll find each of the Creative Business Guides and a description of the team member they are bringing on. I’ll also explain if this team member should be an employee or independent contractor. Of course, some of these examples could apply to multiple revenue streams. So be sure to check them all out as you think about the legal name you’ll give your team member. 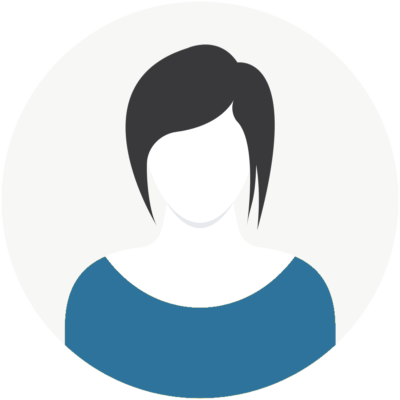 Molly the Maker’s team member: employee or independent contractor? Molly makes jewelry and needs production help. She enjoys creating her jewelry but could use help packaging and shipping it. She plans on bringing on a team member to help her with this part of production. The team member will also list Etsy items, share to social media, and send out Molly’s email marketing. Molly only needs help about 10 hours a week. And the person she is thinking of bringing on does similar tasks for her studio mate. And she’ll be paying her on an hourly basis and she’ll be performing the tasks in Molly’s studio. She’ll use Molly’s computer as well as Molly’s shipping and packaging supplies so they match her branding. 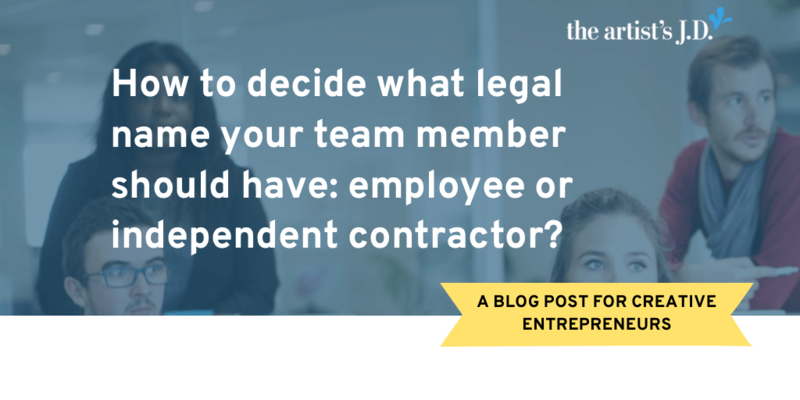 Molly downloads the worksheet and fills out like the example below to decide if her team member will be an employee or independent contractor. Which means based on the graphic, she should hire her team member as an employee (even though her studio mate pays her as an independent contractor). 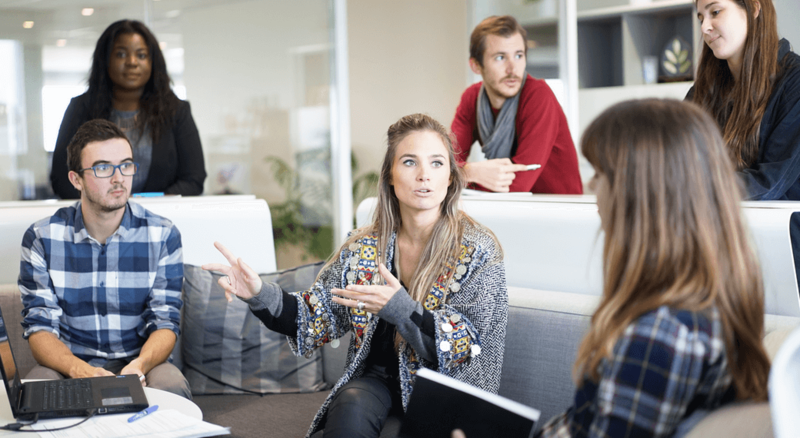 Courtney the Coach’s team member: employee or independent contractor? Courtney needs help with her social media content. She’s struggling to get the engagement and reach that she knows she needs to grow her business. Through a friend, Courtney connects with a woman who consults with small creative businesses about their social media strategy. The woman is a mom of two young kids and usually only works with one client at a time. But she is wrapping up a project and will be available to work with Courtney in a few weeks. She’ll be working out of her own home, using her own computer, and will be setting her own schedule. And Courtney will be paying her a flat weekly rate to curate and post content that appeals to Courtney’s ideal client. Courtney downloads the worksheet and fills out like the example below to decide if her team member will be an employee or independent contractor. Even though the team member Courtney will be bringing on only works with one business at a time, this is a choice based on her personal life, rather than a business one. Courtney will be hiring her for her expertise and Courtney won’t have control over when and how the work is performed. Because of that, Courtney can bring her on as an independent contractor. 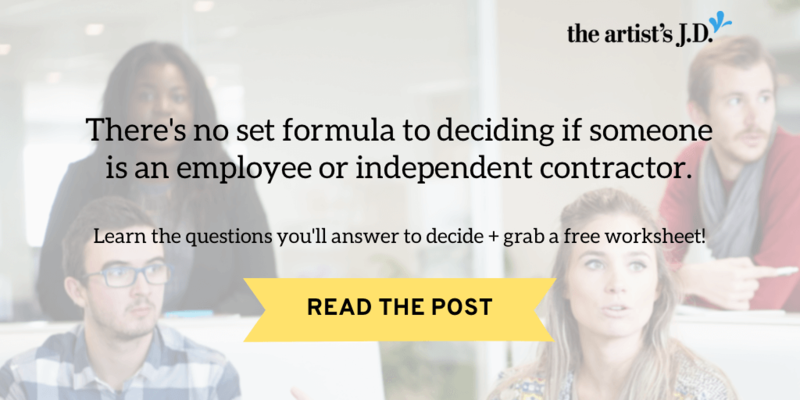 Thomas the Teacher’s team member: employee or independent contractor? Thomas runs a membership community and needs someone to function as his eyes and ears of the community. 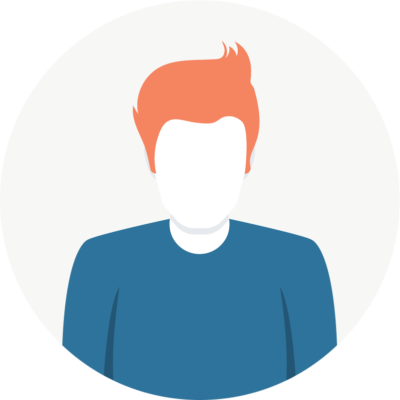 The team member will answer member’s questions, help moderate the online community and provide all customer service. Thomas will be paying the team member an hourly wage. While this is a long-term need for his business, Thomas is capping the hours at 20 hours a week. Thomas also will provide training and customer service scripts. But, the team member will work out of his home, on his computer, and set his own hours. 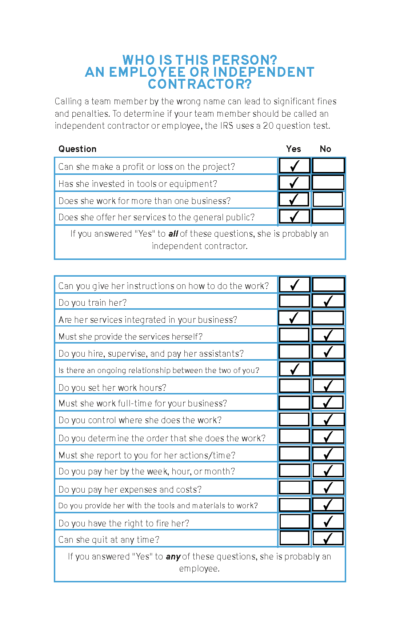 Thomas downloads the worksheet and fills out like the example below to decide if his team member will be an employee or independent contractor. Even though the team member is not full-time and may have another job, Thomas will need to hire this team member as an employee. 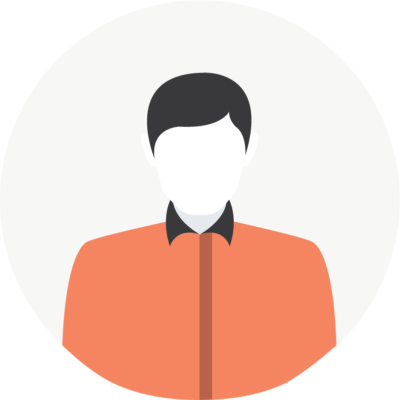 Frank the Freelancer’s team member: employee or independent contractor? Frank is working with Thomas to refresh his brand and provide online and print collateral. As part of the project, Thomas wants Frank to create an e-book template that he can use. Book layout is not one of Frank’s skill sets, but he has a friend that designs books. So Frank is planning on bringing his friend onto the project to help with the ebook design. Frank will need his friend only to create Thomas’ ebook template. And his friend will use his tools and software, but follow the style guide that Frank will provide him. Frank downloads the worksheet and fills out like the example below to decide if his team member will be an employee or independent contractor. Since Frank’s friend does this for other businesses and will be brought on for a discrete project, Frank can bring him on as an independent contractor. 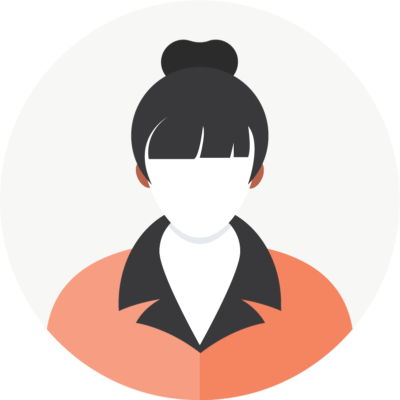 Claire the Curator’s team member: employee or independent contractor? Claire runs a brick and mortar shop and wants to bring a team member on to curate art shows within her store. She would like this person to curate and hang one show a month, attend the opening party, and provide Claire’s shop employees with materials on the artwork since they’ll be responsible for selling the work outside of the opening. Claire is providing the curator instructions on the kinds of artwork that she would like shown. But, Claire has ultimate approval over the artists appearing, but not the individual artwork hung for the show. She’ll also be providing space in the shop office to do the work and paying the curator on an hourly basis. 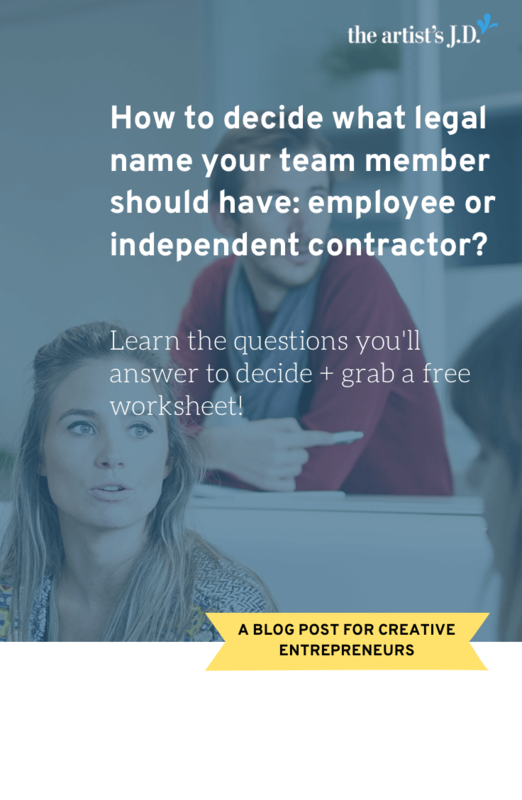 Claire downloads the worksheet and fills out like the example below to decide if her team member will be an employee or independent contractor. While some of the factors might favor an independent contractor, since she’ll have a fair amount of control over how the curator will do the job, Claire should hire the curator as an employee. 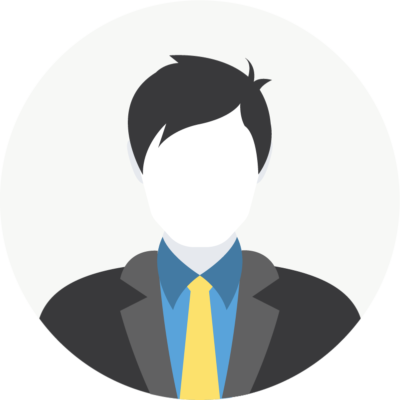 Ezra the Entertainer’s team member: employee or independent contractor? Ezra is getting ready to go on tour and needs someone to come along to sell merchandise. Ezra’s already printed the CDs, shirts, and stickers that his friend will sell. And his friend will travel in the van with Ezra and share hotel rooms with him. Ezra wants to pay his friend a flat rate for each gig. And the venue will be providing everything else the friend needs to set up the merch table. Ezra downloads the worksheet and fills out like the example below to decide if his team member will be an employee or independent contractor. While Ezra would prefer to have his friend be an independent contractor, he’ll need to bring him on as an employee. 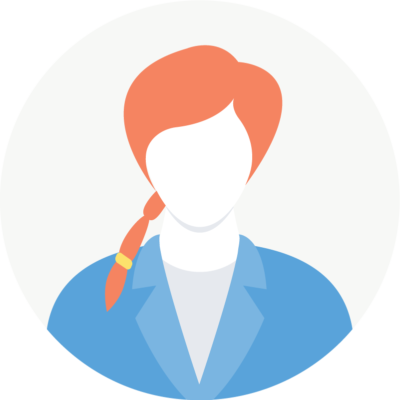 Jillian the Juggler’s team member: employee or independent contractor? Jillian has multiple revenue streams in her business. She’s looking to bring on an admin assistant that will help her both with her coaching (Courtney the Coach) and teaching (Thomas the Teacher) revenue streams. The VA will be the main point of contact for all inquiries, help coaching clients book their appointments and provide them their pre-session materials. And the VA will serve as customer service for all course participants. Jillian has found a woman who offers VA services to small creative businesses like hers. And she the VA the capacity to take on the approximately 10 hours a week that Jillian needs. 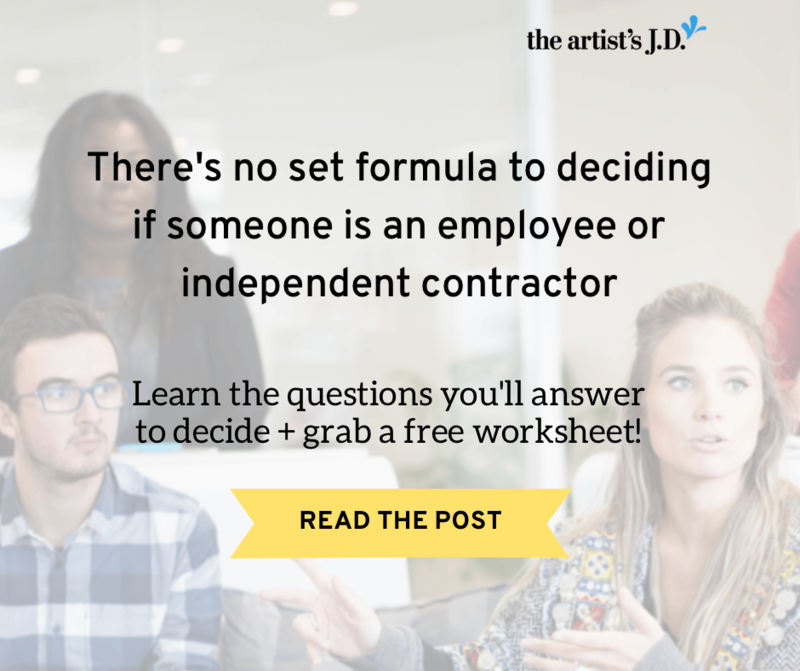 Jillian downloads the worksheet and fills out like the example below to decide if her team member will be an employee or independent contractor. 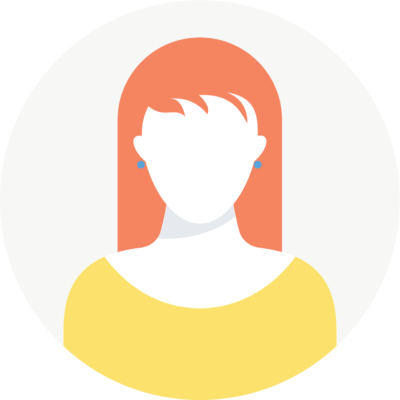 Since Jillian’s team member is another business owner who offers her services to the public, Jillian can bring her on as an independent contractor. When it comes to our handy “What’s their name” worksheet, it’s not about which column has the most check marks (employment or independent contractor). Instead, it’s about who is in control of how the work is done. If it’s you, your team member is an employee. 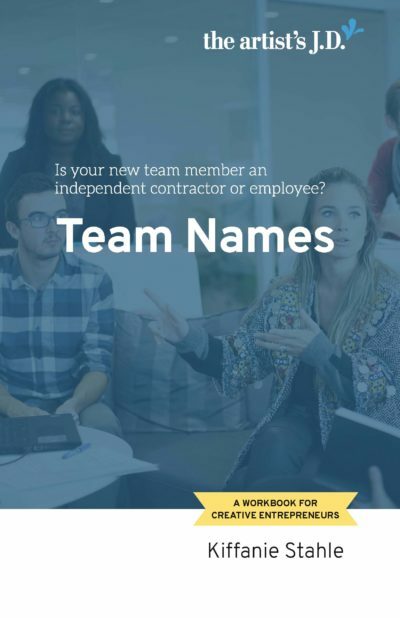 If it’s them, your team member is an independent contractor. The bottom line is you’ll never get in trouble for calling someone an employee that legally could be called an independent contractor. But the reverse is not true. Calling someone an independent contractor that the law deems an employee can lead to stiff fines and penalties. How has your perception of how to name your team members changed? Share your insights, thoughts, and questions in the comments below.